Often called “the cutest dog ever”, the Maltipoo (also called Maltepoo) is cross between a Toy or Miniature Poodle and a Maltese. The Maltipoo is one of many Poodle-Mix breeds. Adult Maltipoos have a lifespan of around 12 years and weigh in at around 10 lbs (5 kgs). A Maltipoo full grown is between 8 and 14 inches tall, so, they are practically lap dogs. But, don’t be fooled — the Maltipoo temperament is not that of a dog that is happy to sit contentedly and watch the world go by. 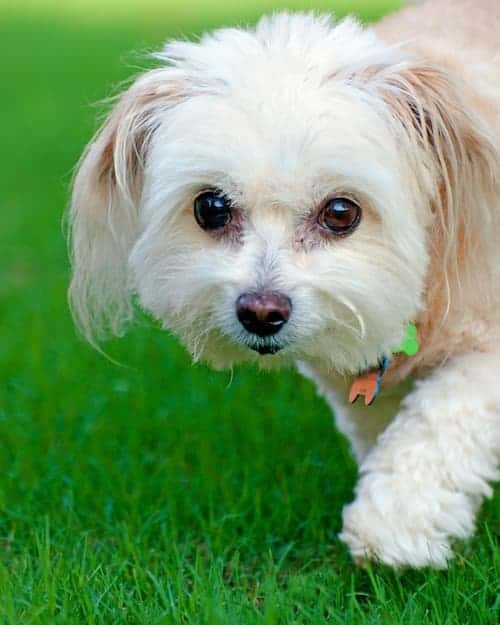 Here are a few characteristics of the Maltipoo temperament that you should know if you are considering taking the plunge. The Maltipoo tends to be very friendly to both humans and other animals. This makes visits by friends to your apartment relatively stress-free events. However, this friendliness can translate into the potential for accidents. Your Maltipoo, because of his innate friendliness, is unlikely to be a winner in the watchdog category. On the other hand, his good-natured temperament makes him quite capable of getting along with other pets in the house. However, just because he’s weak as a watchdog doesn’t mean he doesn’t use his voice whenever possible. This dog loves to bark. You must train him early on that he should only use his bark for a purpose, not just because he feels like barking. You certainly don’t want to end up sharing your house with a yappy dog, especially if you live in an apartment. He’s a great choice for a first-time dog owner because he’s a lovebug. He is never happier than when he’s in your lap. While the Maltipoo does love children, he can lose his patience with younger ones who can be a bit rough. He may even get snappy in an attempt to get them to lay off. This is why you should always supervise your children around your dog, no matter the age of either one. Experts recommend only adding a Maltipoo to your family if your children are over the age of 6. Generally, by that age, children have learned that animals have feelings too and to be more careful with them. Bottom line: discourage visitors, especially children, from carrying your Maltipoo for it is very easy for your dog to suffer a fracture if dropped from even a small height. Depending on the individual dog, he can be more confident or standoffish. He can also be curious and outgoing. However, his friendly nature can turn to anxiety if you leave him alone for too long. He is a companion dog, and so he is not comfortable with your leaving him alone for long periods of time. When you get home, he will channel this energy into destructive behavior, like chewing things he shouldn’t. Therefore, if you have the type of schedule that keeps you away from home for hours at a time, then you two won’t be a good fit. Like a number of other small dogs, the Maltipoo is constantly on the move. Maltipoo puppies can be quite a handful, but even adults retain a number of the puppy characteristics (that most find adorable), one of which is the proclivity to activity. In fact, if you were to look up a picture of the word “spritely” in the dictionary, you'd see a photo of a Maltipoo's grinning face. He jumps at the chance to get out his “zoomies” in the yard whenever possible, but after about 10 minutes, he's spent. As he is a small dog with a relatively satisfied temperament, Maltipoo dogs do not need much in the way of exercise. 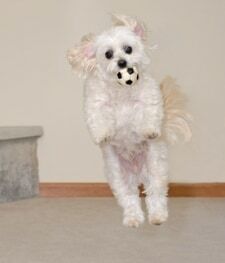 A short (10 to 15-minute) walk or play session is enough to satisfy the Maltipoo. If you love to play fetch, then you’ve got a buddy. So, while Maltipoos are “apartment” or indoor dogs, the typical Maltipoo does very well with regular walks. In fact, in the absence of the mental and physical stimulation that is part and parcel of a trip around the neighborhood you could well find that your Maltipoo resorts to “bad behavior” — whining, barking and chewing — in an attempt to get rid of his excess energy. One thing to note, though is that the Maltipoo is a very adaptable dog. He does well in either an apartment or a house, so long as he can be with his people. If you have a misbehaving Maltipoo click here for tips on the benefits of exercise for dogs with behavioral problems. If you are in need for a pick me up, your Maltipoo is just what the doctor ordered. When you look straight into the eyes of one, you just know that he is an intelligent clown. You will be smiling within minutes of entering the front door after a hard day’s work. Maltipoos love to mock play around you. If you've ever been amused to watch a cat try to dislodge a stuck toy from under the oven or couch, then you'll love owning a Maltipoo. He never gets frustrated in a situation like this, as this is more like a fun game to him. His intelligence can work against you, though, if you coddle or spoil him. While you may feel tempted to do that because, “well, just look at him!” you aren’t doing either of you any favors. Just like a child, an overindulged dog can become bratty, insecure, and mouthy. Instead, treat him with the same respect you would show a larger dog, and he will learn to respect you right back. Breeders created the Maltipoo breed with the goal of the dog being a suitable pet for those who suffer from allergies. However, as discussed in the Grooming section below no dog is truly hypoallergenic. Even if his coat is more acceptable, he still has dander. And even his saliva can cause an allergic reaction. Maltipoos’ high intelligence makes them amenable to early house training, but like with other intelligent breeds, they do require their quota of mental stimulation. You really do need to be on the ball with house training because this is not a breed that can be left in a crate while you are out working long hours. You can start training your Maltipoo as early as 8 weeks old. It usually takes about two or three months to housetrain him. Maltipoos are known for how difficult they are to housebreak them. In the end, it may just be easier for you to train him on how to use a litterbox. He does not respond well to harsh training methods, so be sure to stick to positive reinforcement when he does something well. Want to learn how to quickly and effectively train your Maltipoo, then look at The Online Dog Trainer by Doggy Dan. Doggy Dan is an expert Dog Trainer based in New Zealand. His online resource contains Hundreds of Excellent Dog Training Videos that will take you step-by-step through the process of developing a healthy, happy well-behaved dog. The Maltipoo, by definition, is a crossbreed. First generation Maltipoos are the result of a cross between a purebred Maltese and a purebred Poodle. 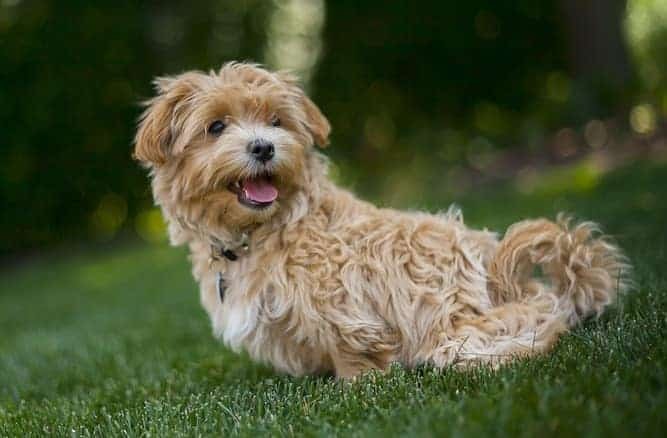 Because of the way many diseases are passed on through genes, this makes the Maltipoo likely to be much healthier than either of its parents. Because of the way genes are passed to the next generation, the resultant puppies will, typically, not be as robust as first generation Maltipoos. Third generation Maltipoos are the result of a cross between second-generation Maltipoos. However, each of the parents should have had one purebred parent of its own. Again, third generation puppies are unlikely to be as robust a first generation Maltipoos. No other combination of breeds or generations results in a “true” Maltipoo. Because the Maltipoo is a crossbreed, it starts life at a huge advantage in comparison to its purebred counterparts. In fact, a number of diseases that a first generation Maltipoo’s parents are susceptible to, perhaps even suffering from, will just pass your Maltipoo by. It is not unheard of for a healthy Maltipoo to live to the age of 16 years old. Note: Don't let the many issues above scare you. The best way to approach health problems is to prevent them in the first place. The Ultimate Guide to Dog Health is a great place to start. Get a copy to keep at home. It will help you prevent the painful health issues that can plague your lovely Maltipoo pet from expressing his winning personality and maximizing his life expectancy. The Maltipoo doesn't shed much, so grooming him isn't too much of a chore. Just brush him daily to keep him free of mats. If you're wondering, though, “is the Maltipoo hypoallergenic?” the answer to that question is that no dog is. The best way to tell if your allergies are going to suffer is to spend time with a Maltipoo, particularly the one you're considering bringing home. He has a low level of dander, but any amount may be too much for an allergy sufferer. When deciding what to do insofar as trimming him is concerned, Maltipoo haircuts can vary based on the owner's preference. While there are many Maltipoo grooming styles, the most necessary Maltipoo puppy cut is a monthly trim on the head, coupled with an annual or biannual coat trim. You can continue this practice for Maltipoo adults as well. While the more common color for a Maltipoo is white, there are black Maltipoos out there as well. So you've decided that you'd like to add a Maltipoo to your family. That's great! You can find Maltipoo dogs for sale either from a breeder or through a rescue or adoption agency. Stay away from puppy mills or pet stores! These people only breed dogs for profit. They don’t screen their animals, nor do they take care in their breeding. These people couldn’t care less that you’re dropping hundreds or thousands of hard-earned dollars on a potentially unhealthy dog. You may be saving the dog from a crueler fate, but you won’t get your money’s worth – and you’ll endure more heartbreak. The average Maltipoo price varies widely, from $400 to nearly $2,000. If you're researching reputable Maltipoo breeders, the price is usually closer to $700 to $800. The variation in price depends largely on what the breeder decides to charge, as well as whether you choose to purchase or adopt. If you think a Maltipoo rescue may be more your thing, you may be able to find one through your local adoption organization. Adoptions are a great way to save money. 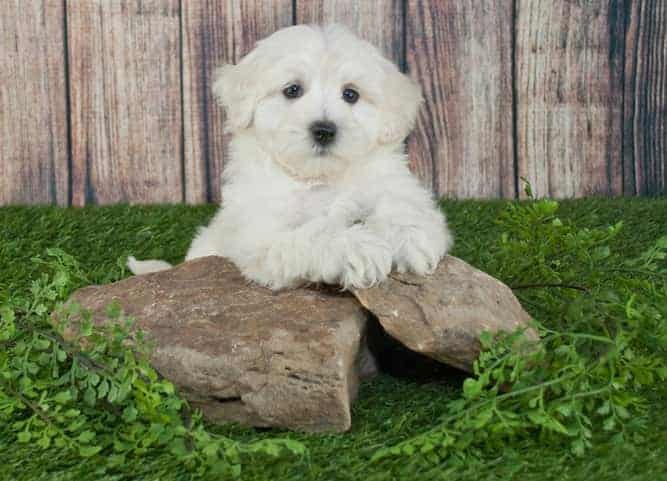 Maltipoo puppies for adoption are also preferable if you want a mixed breed, like a Teacup Maltipoo, or an adult who has outgrown the chaotic puppy stage. There are new dogs at rescue shelters all the time. So, if you don’t see a Maltipoo when you first start your search, you can always wait a bit and try your luck again. A Maltipoo for sale from a breeder will, of course, always cost more than an adoption. This is because the price of the dog depends on how much the breeder decides to charge. A dog with “purer” parentage will also cost more than a dog with a less pure lineage. Of course, the Maltipoo is already a mixed breed right out of the gate. In this case, the breeder will be more likely to charge based on how pure each of the Maltipoo’s parents is. Some breeders may even price their Maltipoos higher simply because it is a specialized mix. 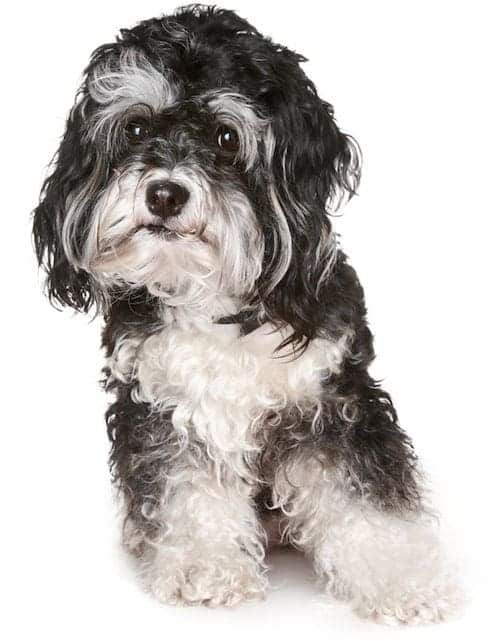 The Maltipoo temperament makes the dog a great choice for someone who lives in an apartment but who is willing to invest some time in her pet. When selecting your Maltipoo puppy, be sure to visit multiple well-regarded breeders; ideally, aim to get a first generation Maltipoo. The Maltipoo is a lovable lap dog who enjoys making you laugh as he attempts to solve crazy puzzles. There are a few health issues you need to watch out for. Else, you can expect him to be a healthy companion for at least the next 12 years or so. He doesn’t shed much, but he still requires daily grooming to keep his coat clean and free of mats. Next post: Pitbull Temperament – Is the Aggression All Hype or Real?